S&P will pay more than a years profit to settle suits that it inflated ratings on subprime-mortgage bonds. Standard & Poor’s $1.5 billion settlement with the U.S. Justice Department, more than a dozen states and the biggest U.S. pension fund today will let the world’s biggest rating company move beyond a bruising legal battle, at a steep cost. S&P, a unit of McGraw Hill Financial Inc., will pay more than a year’s profit to settle suits that it inflated ratings on subprime-mortgage bonds at the center of the 2008 financial crisis. S&P sealed the deal without admitting wrongdoing. Ending the costly legal battle will help the company close a profit gap with its biggest competitor, Moody’s Corp.
A $1.375 billion settlement to be split evenly with the Justice Department and 19 states and the District of Columbia caps a rancorous two-year court battle during which S&P accused the Justice Department of cracking down unfairly on the company after its 2011 decision to downgrade U.S. sovereign debt to AA+ from AAA. S&P stepped back from that position in today’s settlement, acknowledging that it found no evidence to date that the U.S. had acted in retaliation, according to a statement of facts from the Justice Department. S&P was the only credit rater sued by the agency, even though its competitors also issued top ratings for similar subprime-backed securities. S&P reached a separate $125 million settlement with the California Public Employees Retirement System, or Calpers, to resolve claims over three structured investment vehicles. 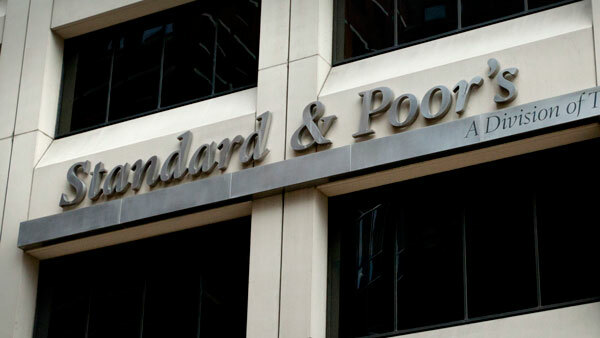 S&P admitted in the statement that its ratings decisions were affected by business concerns, a fact it disputed two years ago when the lawsuit was filed. To win business, S&P awarded top grades on bonds built out of risky subprime mortgages that investors thought were as safe as debt from the U.S. government. When housing prices fell, the bonds defaulted, helping freeze credit markets and trigger the worse recession since the 1930s. The company and regulators “settled this matter to avoid the delay, uncertainty, inconvenience, and expense of further litigation,” Catherine Mathis, an S&P spokeswoman, said in a release. The settlements will be reflected in the company’s 2014 full-year financial statements and fourth-quarter results that will be released on Feb. 12, the company said. The settlement arguably delivers a greater financial sting to McGraw Hill than did last year’s deals with the banks that admitted they misled investors about the quality of securities assembled from subprime loans. S&P’s cash payout is equivalent to about a year and a half of profit for McGraw Hill. By comparison, the majority of the Justice Department’s $16.7 billion settlement with Bank of America Corp. represented a pledge that the bank would write down or forgive mortgage- holder debt; the bank’s cash payout was $9.7 billion, or about 85 percent of its year-earlier profit. Also in 2014, Citigroup Inc.’s $7 billion settlement with the Justice Department required it to pay out $3.8 billion in cash — roughly the equivalent of its second-quarter profit that year. Net income at McGraw Hill amounted to about $964 million last year, according to six analyst estimates compiled by Bloomberg. In late 2012, the Justice Department began settlement talks with S&P over the company’s ratings of the subprime mortgage- backed bonds. The discussions were derailed when S&P refused to admit wrongdoing, according to a person familiar with the talks. In February 2013, the government sued S&P, alleging it awarded investment-grade ratings to those securities in a bid to win business and accused it of lying about its rankings being free from conflicts of interest. In court filings, Harold W. McGraw III, chairman of McGraw Hill, said that Timothy Geithner, who was Treasury secretary at the time, had called him days after S&P downgraded the U.S. debt in August 2011 and told him the company would be held accountable for its action. Geithner told McGraw there would be a “response” to the downgrade, McGraw said in the filings. McGraw, who was also CEO when the suit was filed, said in February 2013 that his company would fight “vigorously” against the “meritless” claims. The Justice Department has said its investigation predated any alleged comments Geithner made to McGraw. S&P’s lawyers asked the government to hand over documents related to its decision to sue the company. In April 2014, David Carter, a federal judge in Los Angeles, ruled that the company should be allowed to see the documents. A few months later, government attorneys contacted S&P’s lawyers about a possible settlement, according to a person with knowledge of the matter. Meanwhile, McGraw Hill’s legal strategy had begun to shift. In July 2014, new chief executive officer Douglas Peterson hired Lucy Fato as the firm’s top lawyer and moved to wrap up the claims. The settlement also reflects concessions from the government, which had sought as much as $5 billion in civil penalties against S&P for losses by federally insured financial institutions that relied on the company’s investment-grade ratings for mortgage-backed securities and collateralized-debt obligations. In its bid to put legal wrangling behind it, S&P also resolved a case with the Securities and Exchange Commission Jan. 21. The company agreed to pay almost $80 million to state and federal authorities over claims it misled investors in 2011 about ratings of commerical-mortgage backed securities. S&P accepted a one-year suspension in part of that market. McGraw Hill, which was founded in 1888, has transformed itself into a financial services provider after selling its publishing division to Apollo Global Management LLC in March 2013 for $2.4 billion. S&P now makes up about half of McGraw Hill’s revenue. Other businesses include S&P Dow Jones Indices, which licenses benchmarks, and financial data provider S&P Capital IQ. Separately, the Justice Department is seeking to advance a more-than-five-year probe into whether Moody’s Investors Service inflated ratings during the U.S. housing boom, three people familiar with the matter told Bloomberg News Sunday. The U.S. government is continuing interviews with former Moody’s executives on whether the credit rater bent criteria on how to assess structured-finance products to win business from Wall Street banks, according to two people familiar with the matter. It’s unclear whether the probe will result in a lawsuit, and any action against the company wouldn’t be imminent, one of the people said. All three of the people asked not to be identified because the investigation is ongoing. Anthony Mirenda, a Moody’s spokesman, declined to comment about the ongoing investigation. Patrick Rodenbush, a spokesman for the Justice Department, declined to comment. Acting Associate Attorney General Stuart Delery declined to comment about investigations against other ratings companies at the press conference. He said department investigations related to the financial crisis are ongoing and remain a priority. –With assistance from Keri Geiger in New York and Tom Schoenberg in Washington. — Check out S&P Suspended, Fined Almost $80 Million in SEC, State Cases on ThinkAdvisor.